Beautiful, charming & historic setting just off I390 and just 35 minutes from Rochester. The Big Tree Inn is the perfect place to hold your meeting, banquet or special event. We invite you to tour our unique location that combines history and charm with outstanding service and modern amenities. We can accommodate small, intimate parties in one of our private dining rooms or larger gatherings up to 175 people in our Event Center. 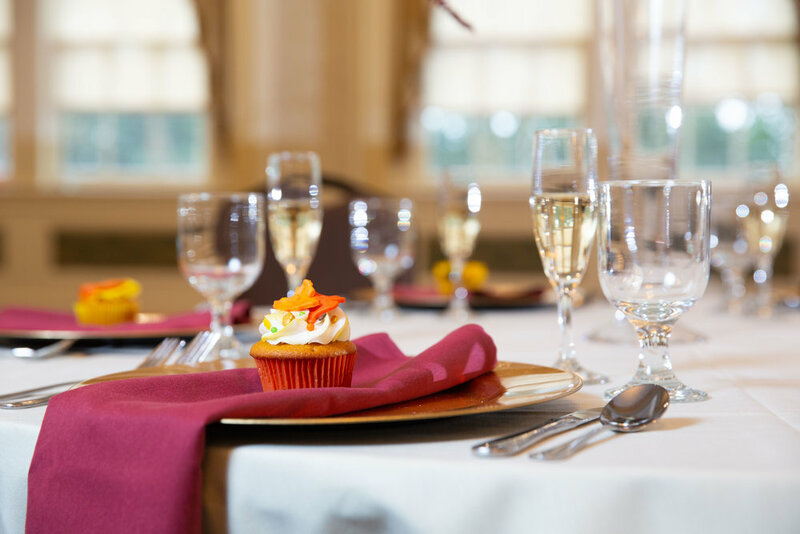 In the heart of the Genesee Valley, our event center is the ideal place for weddings, bridal showers, rehearsal dinners, and even bachelorette parties of all varieties and sizes. We invite you to tour our unique location that combines history and charm with outstanding service and modern amenities. Our beautiful building, gardens and gourmet food make the Big Tree Inn the place to celebrate. Originally opened in 1886, the Big Tree Inn reflects much of the elegance and ornate detailing of the period. The Event Center, while a new addition to the building, maintains the charm and intimate feeling of the main building. Three unique rooms make up the event center and provide ample options for seating, a dance floor, DJ booth, cake table, bar and more. Our main ballroom is at the epicenter of our Event Center. Combining a historic ambiance with a modern flair, the main ballroom can hold up to 175 of your closest family and friends. This space overlooks our beautiful gardens and features large sliding doors that open up to two additional spaces: our Burgundy Room, which can accommodate up to 48 guests, and our Garden Room, which can accommodate up to 17 guests. 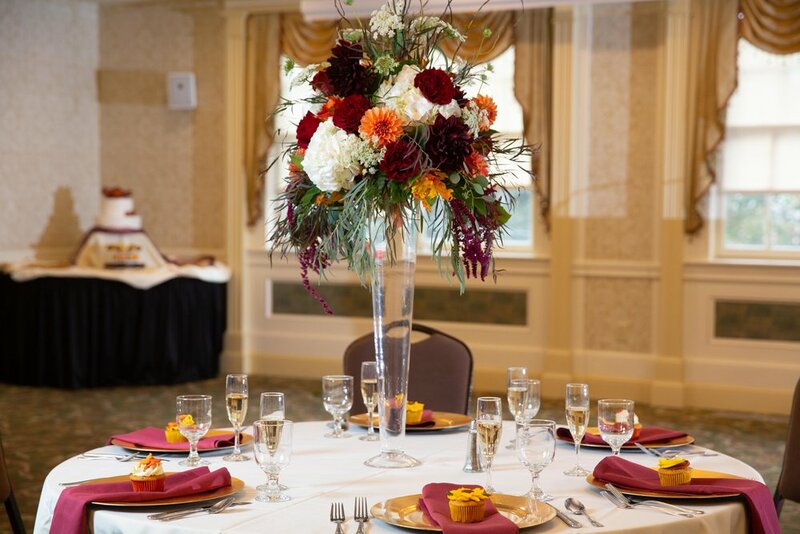 Whether you choose one, two, or all three of the rooms in our Event Center, it is the perfect space to accommodate you and your loved ones on your special day. Our beautiful garden provides the ideal setting for a private outdoor wedding ceremony for up to 75 guests. Share your vows and “I do’s” underneath a beautiful arbor enveloped by ivory. Our outdoor space comfortably seats 30, or provides enough standing space for 75 guests. The Big Tree Inn offers an extensive and beautiful catering menu, featuring a wide array of dishes drawing on the culinary traditions of the Finger Lakes and the Genesee Valley. We source fresh, local ingredients to produce a ‘farm-to-table’ cuisine that will satisfy traditional and modern sensibilities alike. Our in-house chef will be happy to work with you to create a signature menu that satisfies your taste. 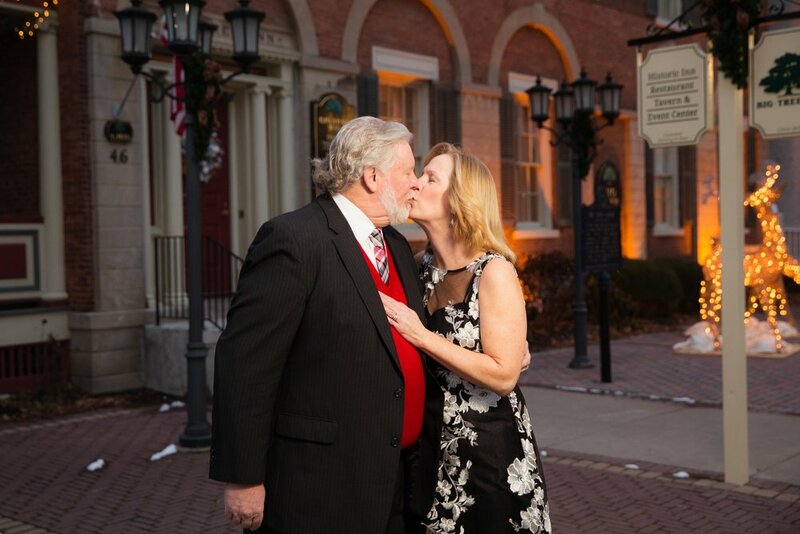 The Big Tree Inn is the perfect place to hold your special event. The photo opportunities are endless with the gardens, grand staircase, and front parlor. Afterward, your guests are invited inside for dinner and dancing. In a building full of history, we invite you to create your own. Host your company’s next business conference, product launch, shareholder's meeting or office holiday party in Geneseo. Our spacious and flexible event spaces provides your business with a customizable canvas that ensures your needs are met. Treat your employees, clients, co-workers and shareholders to an unforgettable event in a historic event venue. The Big Tree Inn welcomes groups of all types. Our many dining rooms may be reserved in whole, part, or combined. Let us know a little about your event and our experienced staff will reach out to you to arrange a tour to discuss the details. Thank you! Someone from The Big Tree Inn family will reach out to you soon. © 2017 Big Tree Inn. All Rights Reserved.